This past week Intel unveiled and released it's new Ivy Bridge CPUs. These CPUs are compatible with any of the available Socket 1155 motherboards- including Sandy Bridge ones! So users with existing Sandy Bridge compatible H61, H67 and Z68 motherboards have the option to upgrade to new Ivy Bridge CPUs. Tri-gate transistor technology (less than 50% power consumption at the same performance level as 2-D planar transistors). Intel HD Graphics 2500/4000 with DirectX 11, OpenGL 3.1, and OpenCL 1.1 support. The built-in GPU is believed to have up to 16 execution units (EUs), compared to Sandy Bridge's maximum of 12. DDR3L low voltage for mobile processors. 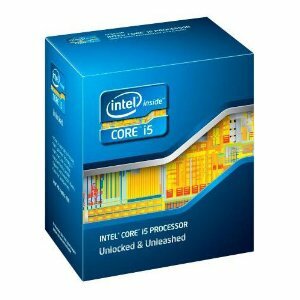 We recommend Ivy Bridge Socket 1155 CPUs featuring Intel HD 4000 integrated graphics. Other available CPUs not listed here have lower quality HD 2500 graphics. 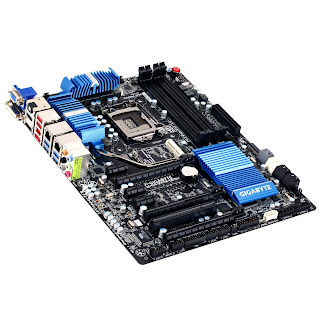 We recommend these Gigabyte 7-Series motherboards based on their compatible audio and ethernet. Gigabyte UEFI motherboards also have an exclusive new feature of working with sleep/wake without a DSDT. Other major manufacturers such as ASUS, ASRock, and MSI also have compatible audio and ethernet, but could have Power Management problems with locked MSR in their UEFI. 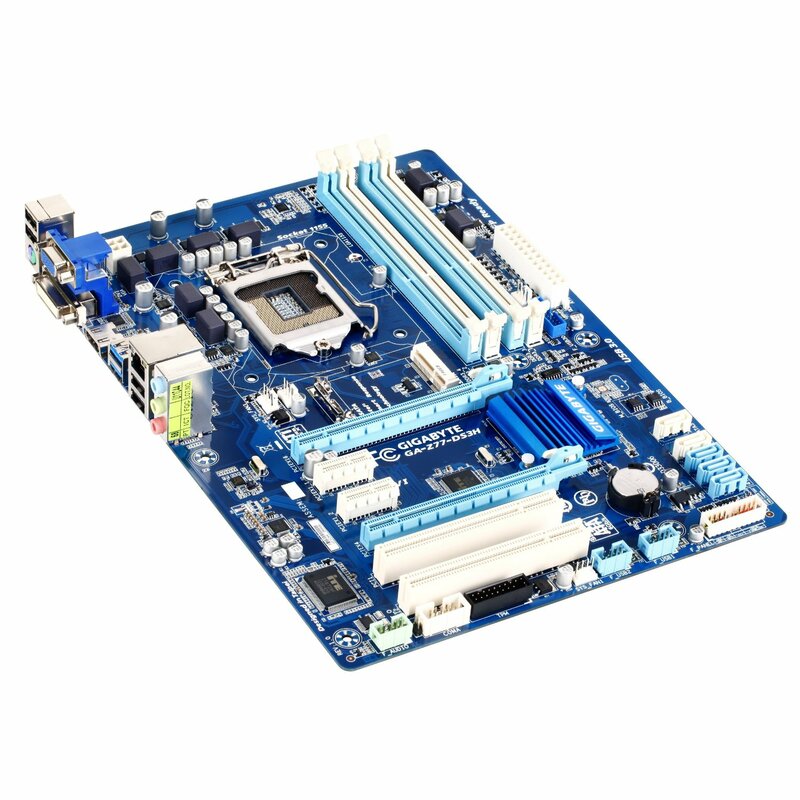 View a list of some of these non-Gigabyte motherboard recommendations here. PLEASE NOTE: Ivy Bridge CPUs and chipsets are not currently supported natively by Mac OS X. We can't recommend Ivy Bridge systems yet, as there is no official support. Hence, please don't view this as buying advice. We don't recommend using a patched kernel for the long-term. 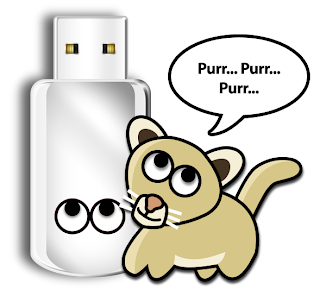 The vanilla kernel is a much more desirable solution for a stable system. Can't wait to hear your experiences with these new CPUs and motherboards. Have fun! Huge News! Gigabyte UEFI Sleep/Wake with NO DSDT! 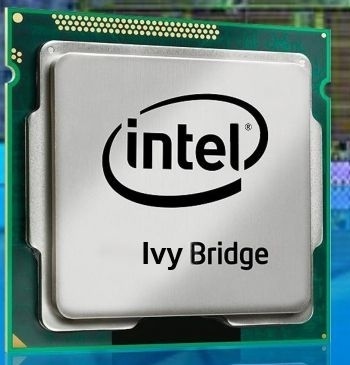 This week, Intel announced and released it's next generation of Socket 1155 CPUs, codenamed Ivy Bridge. As part of Apple's commitment to Open Source, they make the kernel source available via opensource.apple.com. MacMan has added support for these new CPUs to xnu-1699.24.23 (AKA the 11.3.0 Darwin kernel shipped in OS X 10.7.3) and we're happy to announce it's release. 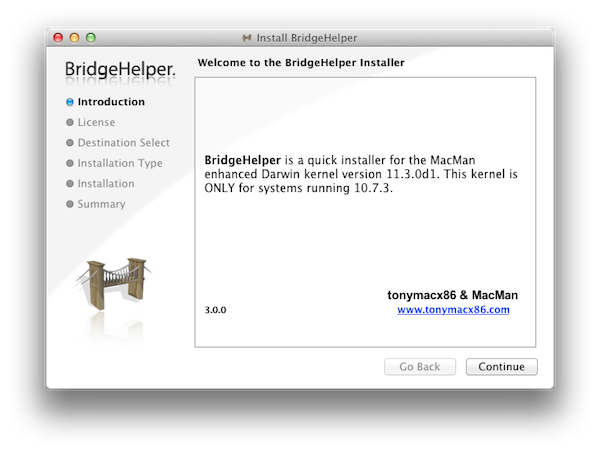 BridgeHelper 3.0 will replace your 10.7.3 system kernel with MacMan's 10.7.3 Darwin kernel with Ivy Bridge CPU support. The installer is now available at tonymacx86.com/downloads. Today UniBeast has been updated to 1.2. The latest version is available for download at tonymacx86.com/downloads. Please do not upload or redistribute UniBeast to any other sites. If this utility has helped you, please consider a contribution to support further UniBeast development. Thanks in advance, and enjoy!